This post is not a tribute to the 80’s David Bowie flick, The Hunger — but rather, it’s dedicated to French illustrator, Tomi Ungerer, who is actually most known for his 1950’s and 1960’s American design work in children’s books and political newspapers/magazines like The New York Times and Esquire. 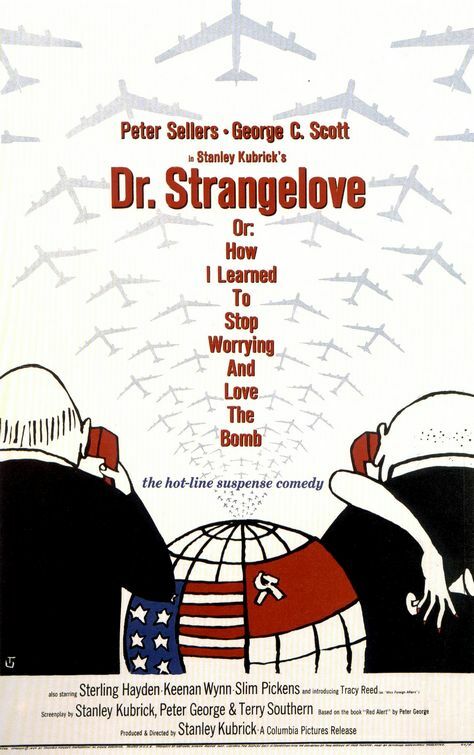 But if you’re a movie poster fan, then you definitely have seen his one-hit wonder, Dr. Strangelove (although he also did the one-sheet for Monterey Pop). Inspired by Saul Steinberg, his style is cut from the same cloth as such political humorists/cartoonists as Jules Feiffer, Maurice Sendak, and William Steig (Shrek), and he has recently come out with a new kids’ book, which you can read about here. This entry was posted in 1950s posters, 1960s posters, Artists & Illustrators, British film posters, Pop Culture and tagged dr. strangelove movie poster, jason munn, monterey pop movie poster, saul steinberg, the hunger, tomi ungerer by russ. Bookmark the permalink.